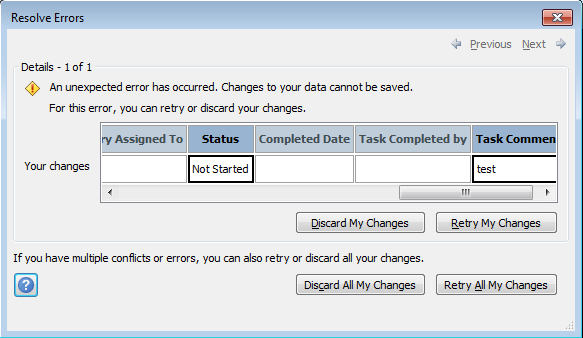 Can’t update record in datasheet view | Are you a user? Here’s a simple one, but it underscores how important good error messages are. You are presented with the following dialog. No matter how many times you retry your changes, you get the same general error. So you try to update the item using a standard SharePoint form and you receive an error with a little more meat. 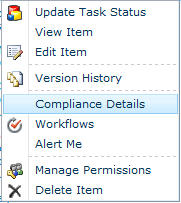 Now you are suddenly reminded that in-place records management is enabled! You check the Compliance Details for the item and find that you declared it as a record before Christmas and that has put a read-only lock on the item. You also find your memory is mush from the holidays. There is no solution for that. Is it a permssions problem?